For over six decades, we’ve been the global leader in golf grip innovation and technology, from the invention of the slip-on grip to groundbreaking advancements in cord with our new Brushed Cotton Technology (BCT®) to the introduction of the hybrid category of grips. Today, Golf Pride® has laid claim to more major wins than any other grip company. More than 80% of Tour professionals choose to play our grips and not one is paid to do so. And in this age of multi-million dollar endorsement deals, that’s the strongest endorsement of all. 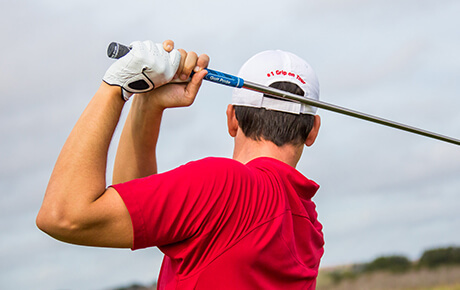 So, whether you’re a Tour pro playing a major, a rising amateur, or an everyday golfer, you can rest assured knowing you’re playing the #1 Grip in Golf.